You can wear the CUFF RING on one finger, or every finger across your whole hand! These rings are all adjustable for an easy fit for every finger and are perfect for both men and women! Our best must wear jewels for every concert on your calendar. Cant decide between a pendant necklace or choker? Take the guess work out of pairing necklaces to create your look and wear our LAYERED CHAIN NECKLACE. mixed 18k gold and gunmetal chain and links create the ultimate layered chain necklace to an easy festival ready look! WEAR WHAT MAKES YOU FEEL BEAUTIFUL. THERE ARE NO RULES WHEN IT COMES TO FESTIVAL STYLE. SHOP OUR FULL COLLECTION AND DISCOVER MORE OF OUR UNIQUE HANDCRAFTED DESIGNS TO CREATE YOUR OWN LOOK. Cant decide? Fill out the form below with your festival style questions and Michael will personally help you choose the perfect jewelry for your look from the collection or design a custom one of a kind piece. Thank you, Michael will personally email you back with the perfect jewelry for your look! NEW ASSORTMENT OF MUST HAVES FOR SPRING! Mix Metals Collection, intricately handmade mixing 18 karat gold and gunmetal finish brass and semi precious gemstones. every design in this collection is unique and special in its own way. Discover the collection and shop your favorite design. GIVE YOUR DOG A STYLISH LOOK BY LAYERING OUR WOVEN COLLAR AND NECKLACE! Look stylish with your dog and wear one of our woven bracelets to match with your dogs necklace! Made with the finest quality leather, our collars and necklaces will rest comfortably on your dogs neck. RAW + EDGY EXTRAVAGANT STATEMENT JEWELRY. ancient civilizations were known to adorn there bodies in stunning handcrafted jewelry. this was done to symbolize wealth. jewelry was handed down from generations, traded between family members, and even traveled across long distances because of its value. these ancient jewelry pieces and charms from different cultures across the world have always been an inspiration to MHART. throughout the collection you will find unique pendants, charms, and objects that have been recast from original ancient jewelry that I have collected along my journey. This necklace features a stunning 18 karat gold plated pendant, cast from an original handcrafted Taureg design. The Taureg are the proud “Lords of the Sahara.” There art and jewelry are elegant yet portable to accommodate there nomadic lifestyle. mother of pearl, vertebrae bone, quartz gemstone. a detailed sterling silver plated aztec coin dangles below this fun cotton fringe earring. Hey Cat lovers! Join us in Los Angeles this February with #catsonglass by @freshstep for an Interactive pop up exhibit featuring live cats. 🙌🏽 I have designed unique cat-ear rings that will be for sale at the event! A portion of the proceeds will benefit spcaLA. One of the first designs, for MHART was a porcupine quill adorned with a hand carved skull head on top. This pendant is still in the collection today. One of my favorite necklaces, I in fact wear it every day. Among many of the natural materials I use throughout the collection, porcupine quills are one of my favorites. Each quill is unique in its own way; in shape, color, and size. Porcupines naturally shed there quills, so no animals are harmed in the process of making any of my quill necklaces. 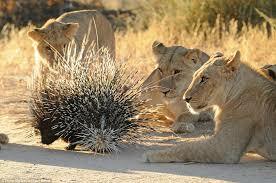 Porcupines quills are released by contact with them, or they may drop out when the porcupine shakes its body. New quills grow to replace lost ones. From ancient times, it was believed that porcupines could throw their quills at an enemy, but this has long been refuted. Every few months I collect new quills to restock, and carefully clean, sanitize, and shed down the tips so the quill is not sharp for the wearer. Its that time again, to design the next collection. I am smiling ear to ear :) This is my favorite moment. The early mornings are the most creative time of day for me. My mind is empty and ready to start fresh with new ideas. I am constantly designing and creating new product this way - it will take weeks until a collection is finalized. Each morning there is a new idea and it is executed. I believe there is no excuse for me to hold back and not develop an idea, I want to design and create everything that comes to mind, it is when I am finalizing the full collection that I do my edit. I then work as a stylist to pull the right designs together and create a beautiful flow for the season. As you know MHART is inspired by my travels from exotic destinations around the world to a tribe hand weaving baskets for every day use. It is this artisan work that is always inspiring to me. I want the jewelry I create to be loved and worn every day, as it is something you need rather then want. It is believed that Lapis can bring the wearer inner peace and enhance their memory. When hand making each MHART piece of jewelry it is important that there is meaning behind each hand crafted design. Our Lapis Lazuli pieces are one of our most loved treasures in the line. ONE OF OUR BEST SELLING BEADED NECKLACES, THE TREASURE BEAD NECKLACE. NOW AVAILABLE IN A VARIETY OF COLORS, IS HANDCRAFTED USING MATTE STAINED GLASS BEADS AND 18K GOLD PLATED BRASS BEADS HAND CUT IN INDIA. Shop our favorite styles right now, on sale now at Saks Fifth Avenue. This past month we collaborated with Saks to offer some of our best hand crafted styles! You can shop the collection now in store and online! Cast amulet design plated in 18k gold centers this unique stretch coconut shell bracelet.